The saxophone player as well as the Hang Gudu player directly excites a solid medium: the reed on the saxophone, the ringding on the Hang Gudu. This solid medium then transfers the oscillation to the air in a cavity. 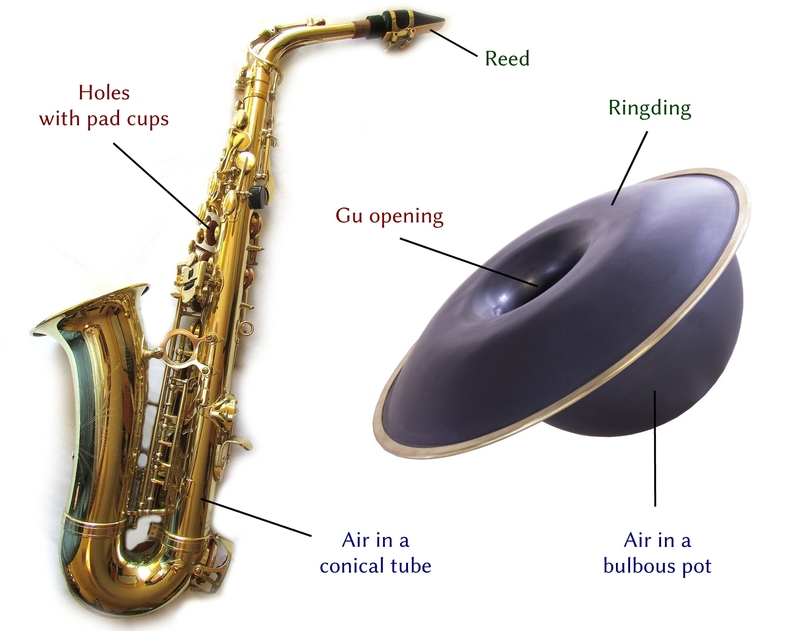 The saxophone’s cavity is a conical tube, the Hang Gudu’s cavity a bulbous pot. With both instruments different tone pitches are played by manipulating the openings of this cavity. The saxophone player opens and closes a number of holes with pad cups. 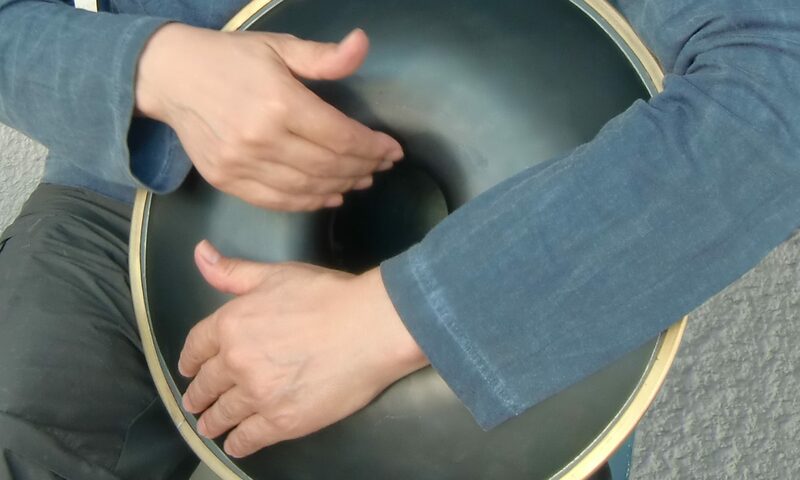 The Hang Gudu player uses different hand positions in and above the Gu opening. Both instruments have the air as the main oscillating medium. However, the Hang Gudu player combines the bass pulse of the vibrating air with the percussive sounds of the shell. Thus the Hang Gudu is an instrument with various sound sources. Great insight. When I first started, I joked that it sounded like playing a tuba and a washboard at the same time! Next PostNext Rechtshänder oder Linkshänder?